WCF HttpListenerException – Carpe Diem Systems Ltd.
Apple Trackpad on Windows with 3-finger drag! 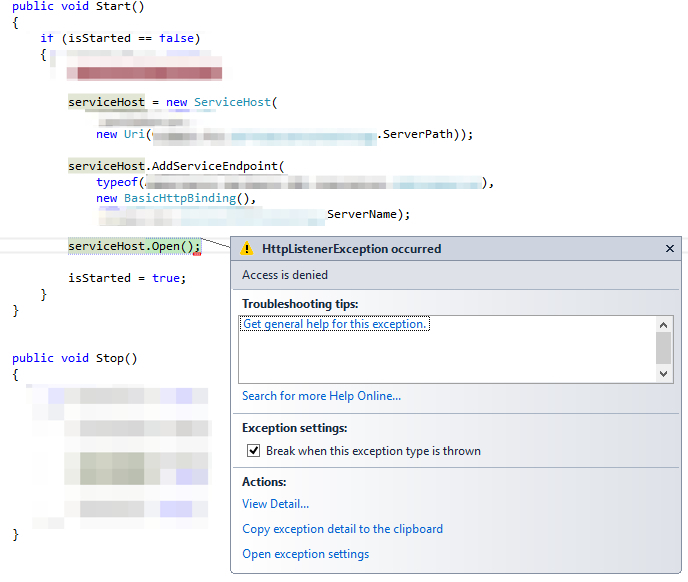 Running an application from Visual Studio 2013 without administrator privileges and trying to start a WCF service results in a HttpListenerException. My service host’s URI was http://localhost:8000. But that’s a pain for me for a variety of reasons. I googled and found lots of information on stackoverflow. I tried to use the developer-reserved Design_Time_Addresses solution on port 8732, and then on 8731, but to no avail. So I changed my URI to http://localhost:8733/Design_Time_Addresses and everything worked. 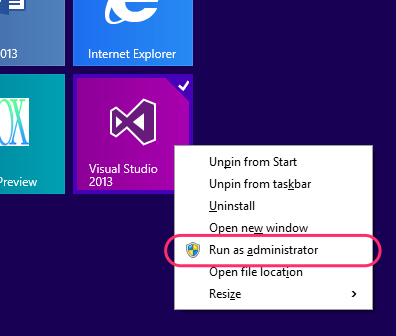 This new URI is only for use when running the service in a debugged session via Visual Studio. For normal runtime use I still use the original URI of http://localhost:8000.